As a child, my family had an apple tree that we harvested from each year. The day would start with everyone, including my parents, picking up apples from the ground and off the tree. These apples were cleaned, cooked, and pushed through a food mill and canned in quart size jars. Our apple tree produced very sour green apples that were only good for making applesauce. Making applesauce was a long tiring, hot, and sticky process but I don't regret having that time with my family even with the work that was involved. 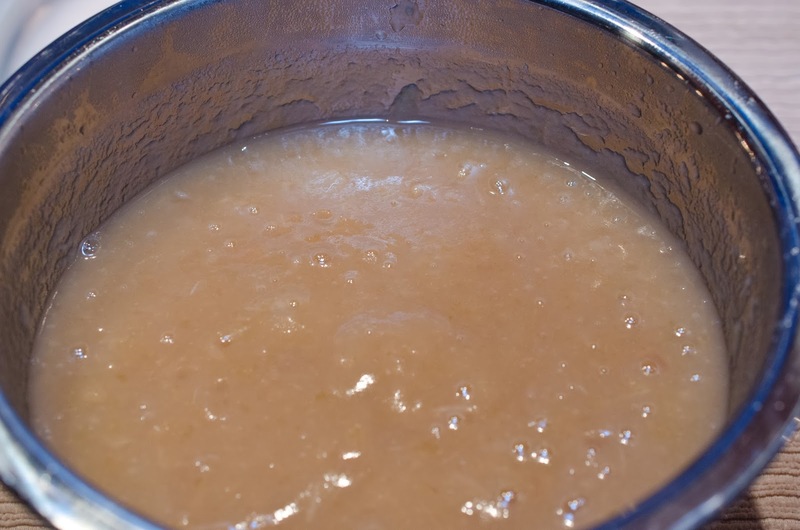 I learned last year that I could make my own applesauce in my pressure cooker and with a lot less work. For dinner we were having pork chops so my husband of course said we must have applesauce. No, I don't know why those two go together. Would you like to see this iconic duo mentioned in a silly scene in The Brady Bunch? Check out the video here. On to the fun! Applesauce is one of my comfort foods. It reminds me of home and family. Clean, core, and quarter all the apples. 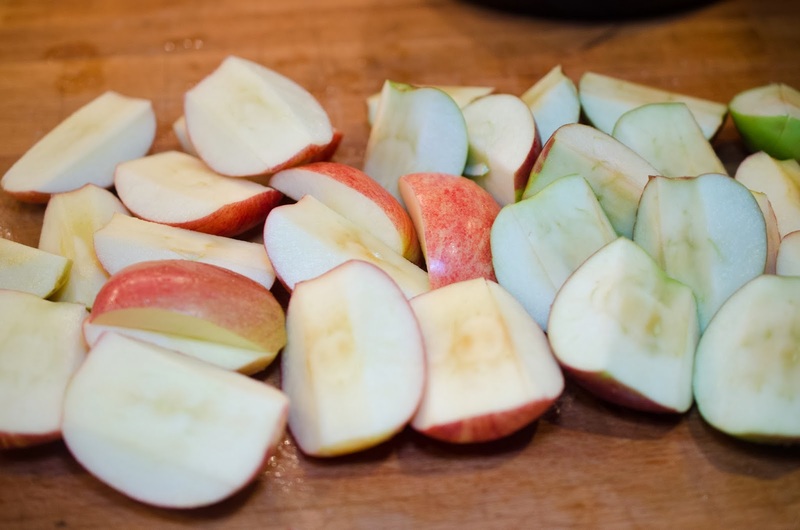 Using an immersion blender, food mill, or blender, blend the apples to your desired consistency. We now have applesauce. Add cinnamon. 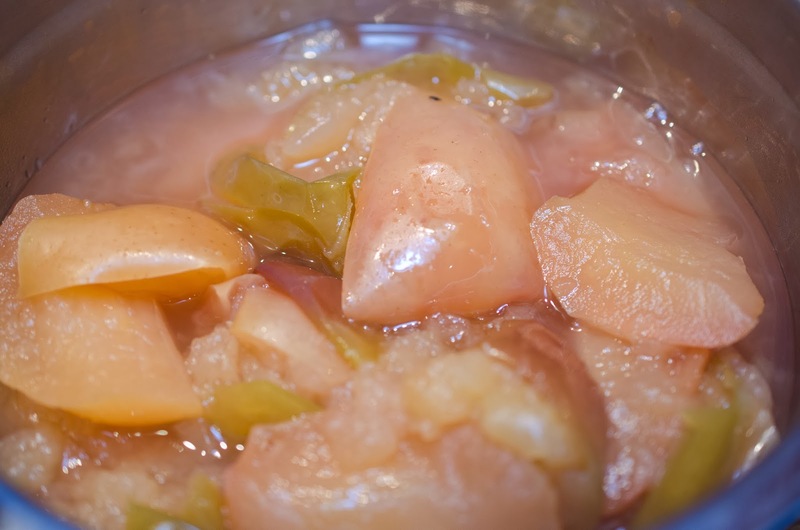 Put apples into pressure cooker with water and sugar. Cover with lid, set pressure to High for 10 minutes. 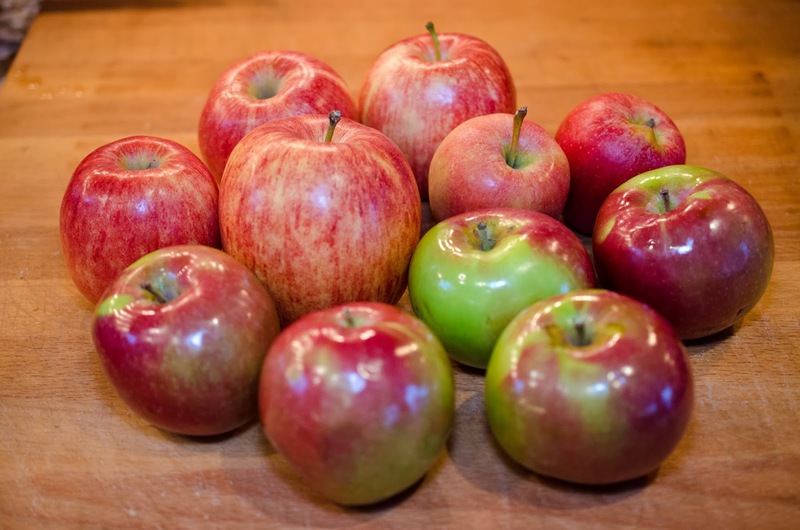 Using an immersion blender, food mill, or blender blend the apples to your desired consistency. I like the way you now have the recipe listed at the end with a printable link.